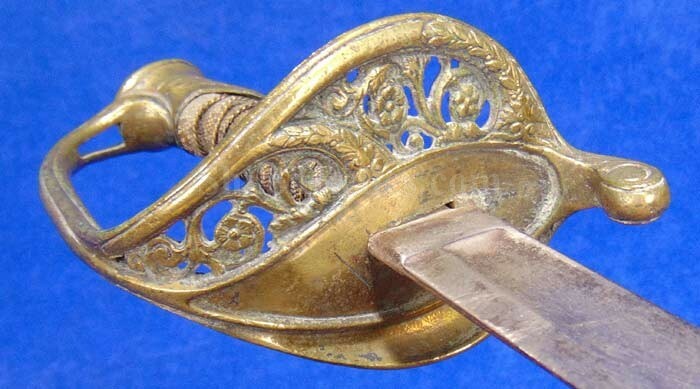 This is a great display piece for the price of what a US buckle costs these days! 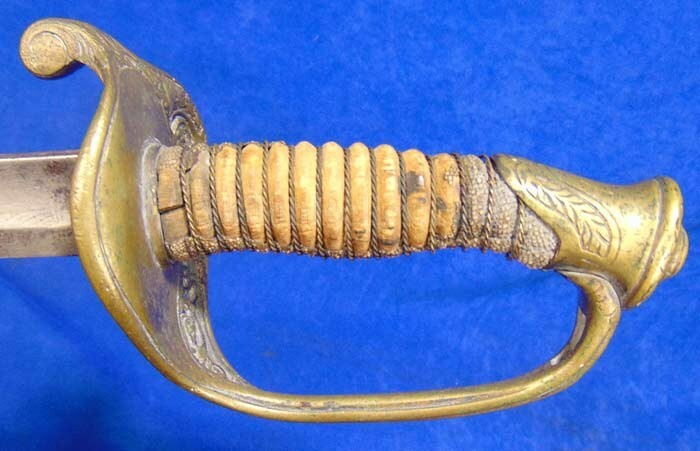 This is an original Civil War era foot officer sword. 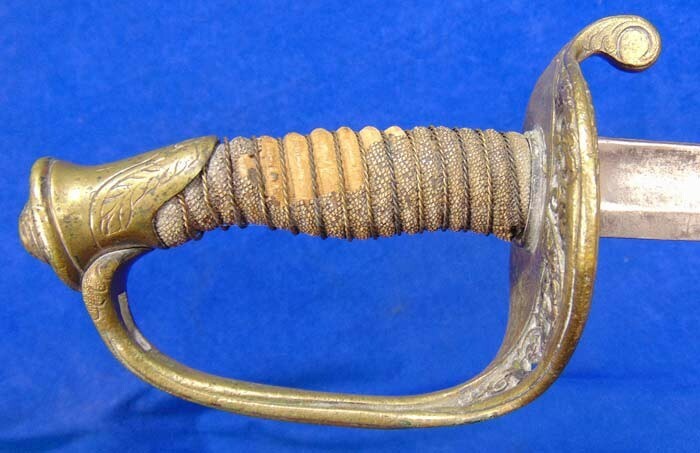 This is the style sword that was worn by the lower ranking officers during the Civil War. 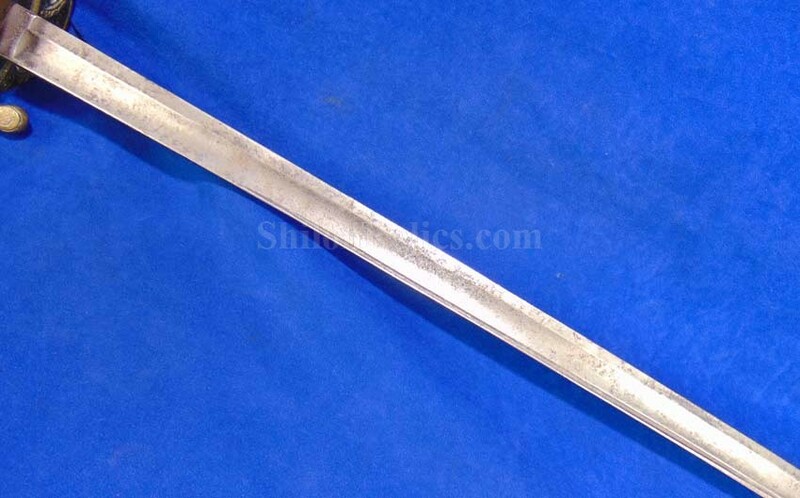 The blade measures 32 inches in overall length. 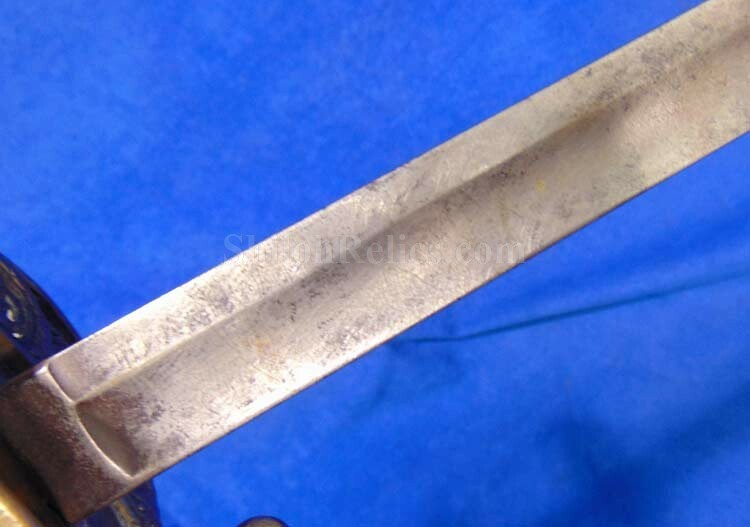 The blade has a gray color all over with a faint traces of the etching still visible here and there. 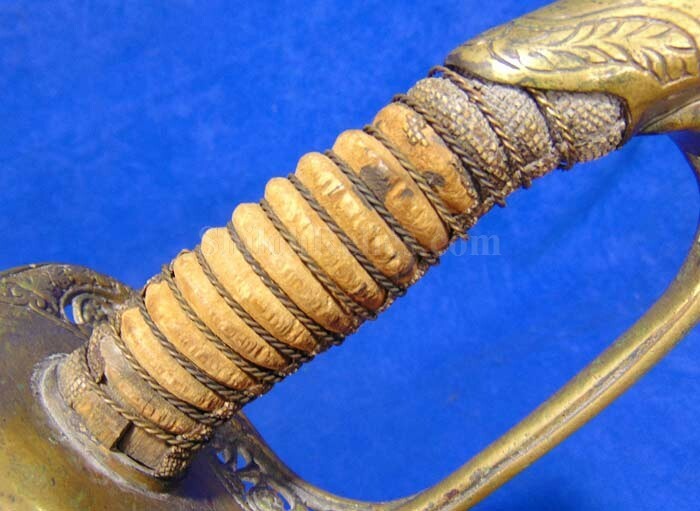 The pommel And handguard are constructed of fine quality brass. 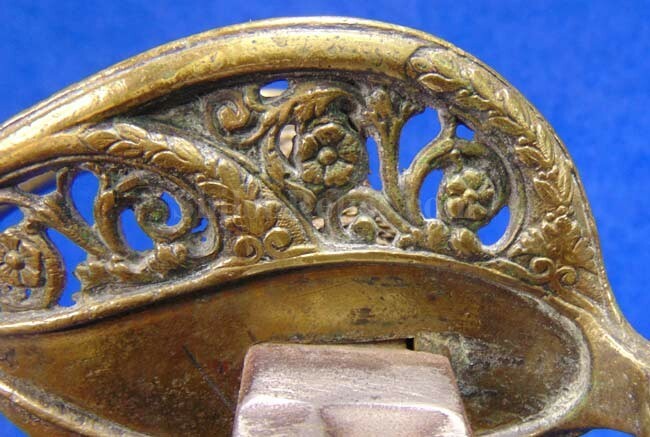 The brass pieces still retain an attractive dark color with a lighter color on the high spots. 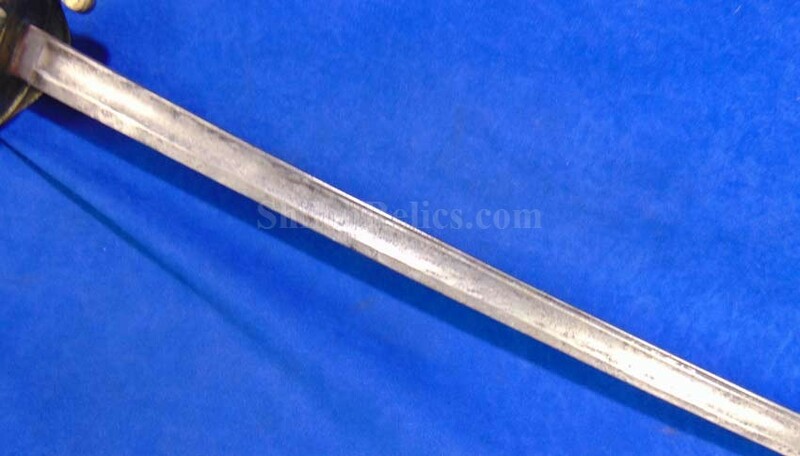 The handguard has the floral pattern which is correct for foot officer sword. 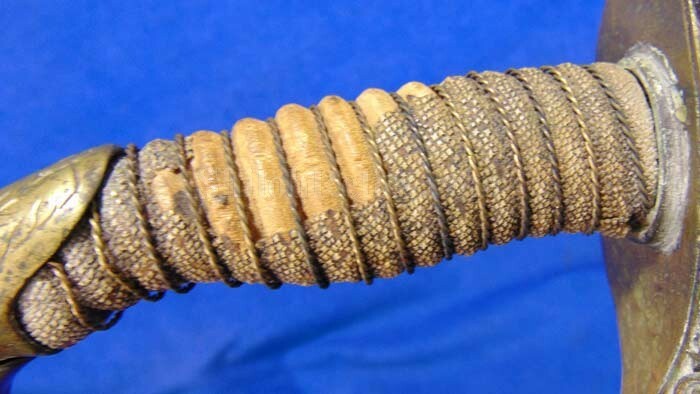 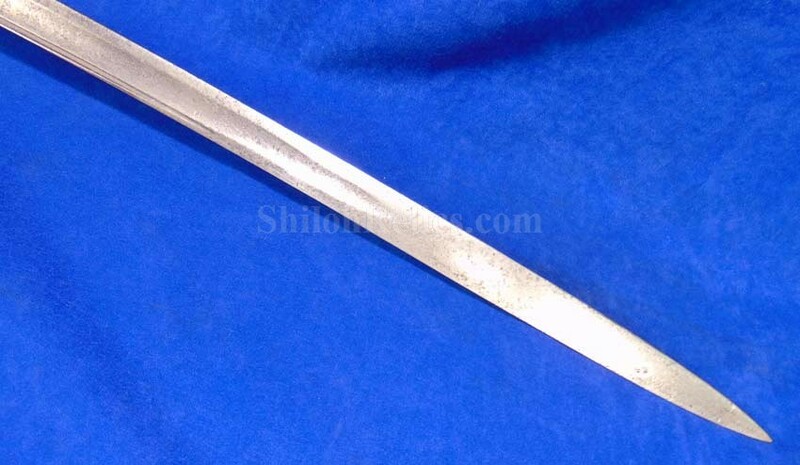 The handle of the sword has about 60% of the original sharkskin grip. 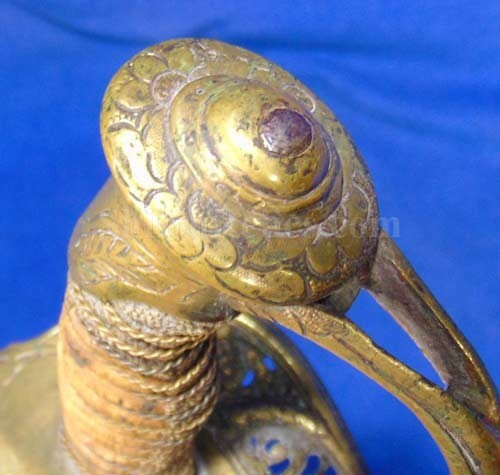 It has the original double twist brass wire intact and it displays quite well as you can see. 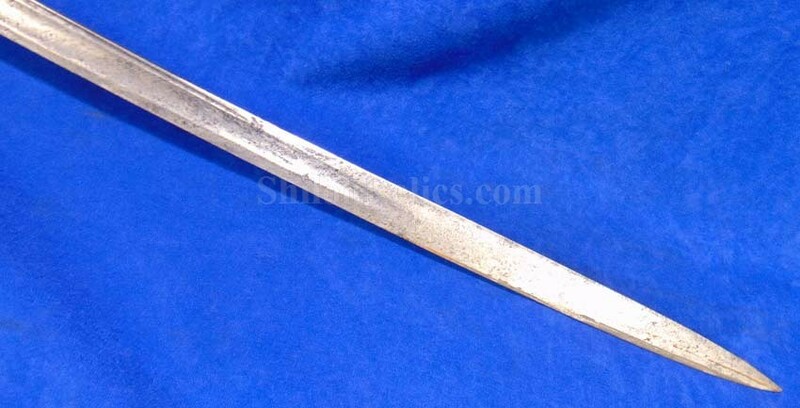 This is a very attractive displaying original Civil War foot officer's sword that doesn't cost a fortune.